Six Flags corporation has continued their venture into the 21st century with the announcement of new Virtual Reality Roller Coaster experiences for 9 different parks chain-wide! 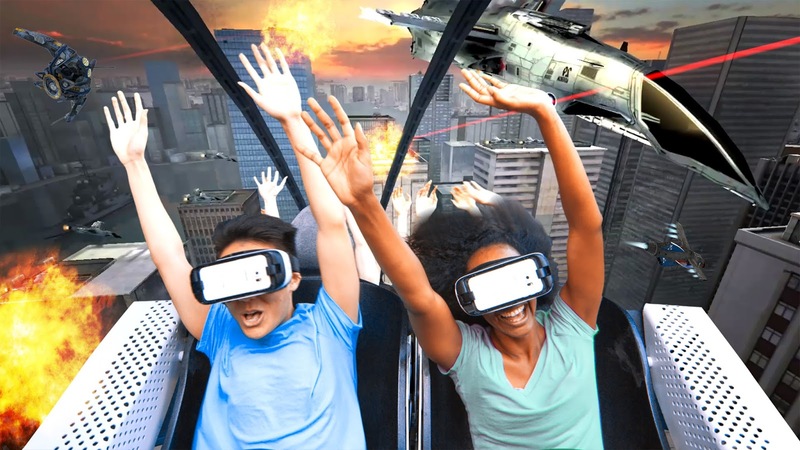 Along with a new partnership signed with Samsung and Oculus, the amusement park chain plans to equip its headlining coasters with VR headsets armed with Samsung Phones to bring a digital VR experience to riders. Six Flags will claim a new record with North America's first Virtual Reality Coaster Experience as the technology is rolled out to each of the nine parks. Each location will get either a Superman or New Revolution themed environment, according to the existing theme of the selected coasters. Riders will be transported to a futuristic battle to save planet earth from an alien invasion. Riders are the co-pilots in their own fighter jets as they strap in for air-to-air combat. Taking in the view around them, riders will see other aircraft in an underground secret bunker. As the aircraft moves to a landing pad, it begins to launch its thruster engines, lifting the craft straight up through the roof. 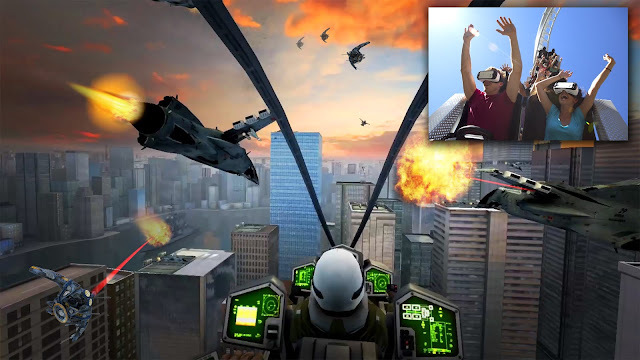 During the ascent, riders can test fire their weapons using the world’s first-ever interactive gameplay technology on a roller coaster. As riders clear the roof, they realize they are on top of a skyscraper and about to launch off the edge of the building diving straight down on the first drop of the ride. The aircraft races through the city until reaching the edge of the skyline where riders see the mother ship hovering above. The mother ship is heavily protected by drones and the mission is to get past the drones, fire on the mother ship and destroy it. 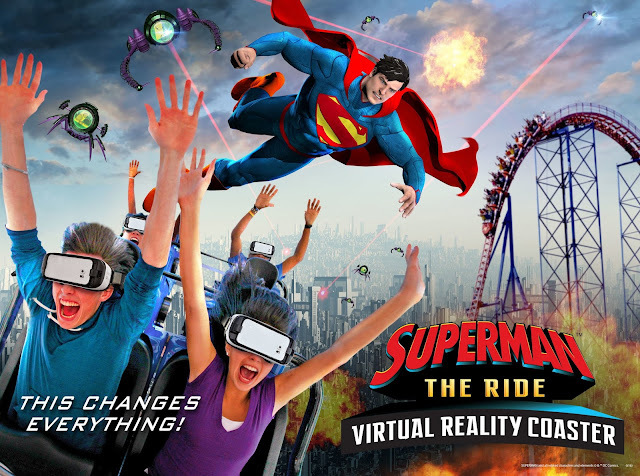 Riders will be fully immersed in the 360-degree comic-book world of Metropolis. Guests will be taken on a leisurely (or so they think) tour of the city of Metropolis, courtesy of Lex Corp Sky Tours. Just after departing the station riders encounter Lex Luthor who uses an anti-gravity gun along with his army of Lex Bots to create chaos throughout the city with cars, taxis and buses floating in mid-air around the rider’s vehicle. As the Lexbots continue shooting at the vehicle, SUPERMAN uses heat vison to destroy the anti-gravity gun, causing all objects to suddenly fall, including the train as it takes the first giant drop of the roller coaster. Riders then soar alongside SUPERMAN as he battles the evil Lexbots through hairpin twists and turns, loops, dips and dives before ultimately defeating Lex and the Lexbots, and returning safely back into the station. Besides the age restriction on riders 12 years or younger, all park guests will be able to experience these new experiences for no additional cost with general park admission! Six Flags has successfully reinvented and refreshed its current attractions, and spurs in ridership should follow! That's all for now from Theme Park Overload! Make sure to Like our Facebook Page for Exclusive Content and Breaking News Alerts! www.Facebook.com/ThemeParkOverload My name's Nicholous, and Thanks for Reading!